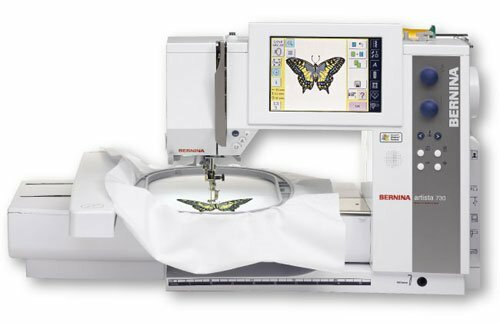 The Bernina artista 730 with its optional embroidery module boasts over 100 built-in embroidery designs which can be easily edited and combined on its large, clear touchscreen. As an embroidery machine, the artista 730 offers a wealth of creative options which can be extended at any time by simply uploading additional embroidery designs via the USB connection. This gives you access to a wide array of attractive designs which you can combine, modify, and even save if desired – for boundlessly creative embroidery from the very start.